Have you heard the one about the guy who walks into a bar — and comes out with a new kidney? It happened almost that quickly for Don Thomas, a regular customer at the Hooters restaurant in Roswell, Georgia. He was talking to a new waitress, Marianna Villareal, when he happened to mention he’d lost both his kidneys to cancer. 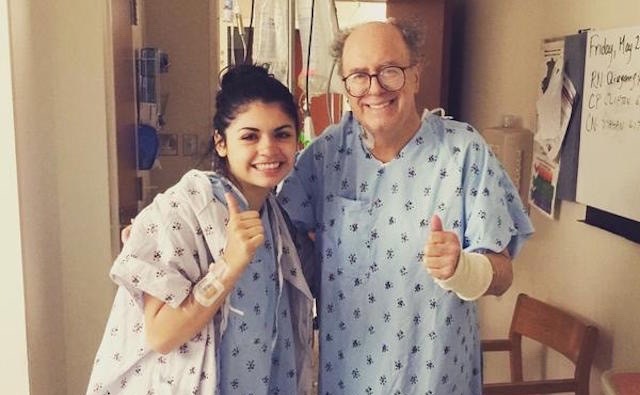 Villareal, 22, recently lost her grandmother to kidney disease, and even though she didn’t know the 72-year-old outside of work, she didn’t hesitate to offer him one of her kidneys. She says she wasn’t able to do anything for her grandmother, but knew the transplant would be worth it if Thomas got to live a longer, happier life because of it.